Thirty years ago we saw a maturing of the personal computer market, but this was also joined by the rise of the phenomenon of malware. 1987 brought not only the Stoned virus, but also the infamous Jerusalem virus… discovered in Jerusalem in October 1987. Where Stoned wasn’t deliberately destructive (but was accidentally, due to bugs), the Jerusalem virus was. 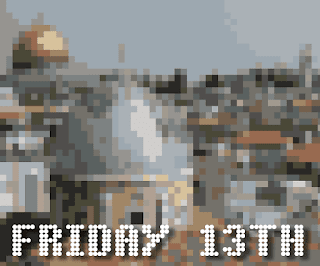 On each Friday 13th (except for 1987), the virus would try to delete any program run on the DOS PCs it infected. It was an executable file infector, adding its code to the applications themselves. Of course, this would be a trivial thing to recover from if you had the original installation diskettes, but in those days it was extremely common for software installed on a PC to be a copy of a copy of a copy, and many people didn’t have the disks. And of course, the act of copying software itself helped the virus spread from infected PCs to other PCs via infected programs on the floppy disks. Back in 1987 anti-virus software was also in its infancy, with products such as McAfee VirusScan being early entrants into that market. Few people had anti-virus software, and given the high levels of piracy of applications it took some years for the first wave of computer viruses to be brought under control. Later variants of the Jerusalem virus were created, but eventually they all vanished completely. File infecting viruses do still exist these days, but are still quite rare and old DOS viruses such as Jerusalem won’t even run on Windows. However, thirty years of PC malware evolution have led to things that are much, much nastier than the Jerusalem virus.